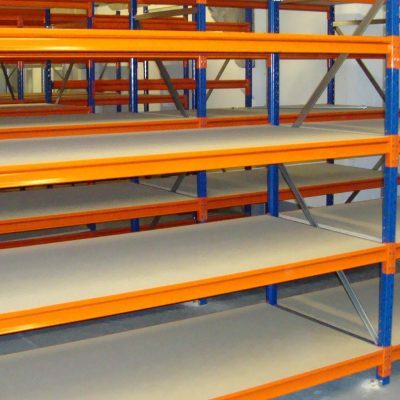 industrial racking Archives - Shelving & Racking Ltd.
Our warehouses are always full of quality used warehouse racking and while we will always have the leading manufacturers, such as Dexion, Link 51, Apex and Redirack in stock, specific beam sizes can come and go. 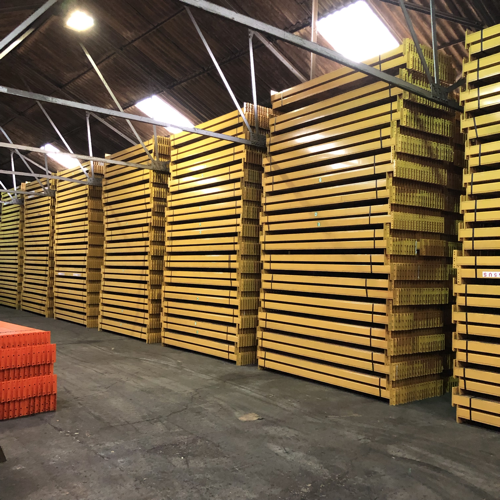 Therefore, if you need used pallet racking beams in a particular system and size, it is advisable to give us a call on 0800 612 3210 to check availability. All frame heights are usually in stock because we tend to buy frames at 8, 9 or 10 metres high which can then be cut to exact height depending on customer requests. We can also splice smaller frames together to create taller frames when required. This actually strengthens the frame and usually doesn’t affect where beam levels can be located. We keep bracing for standard 900mm and 1100mm frame depths in stock, but we can often make bracing for bespoke sizes on request. Again, if you need a specific manufacturer it is worth getting in touch to check current stock. 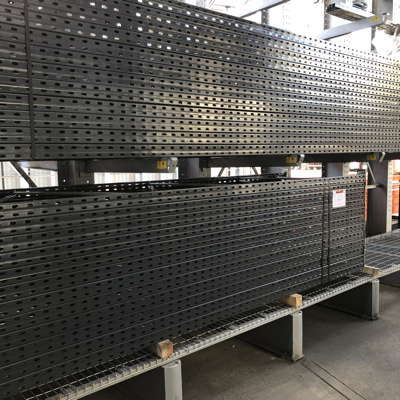 We have an extensive catalogue of industrial racking accessories, such as pallet support bars, column guards, rack end barriers and wire mesh decking. These are in stock and can be ordered through the website for delivery in as little as 2-3 working days. We can deliver you used warehouse racking to any UK mainland address. Our delivery prices are based on the number of pallet spaces your order would take on an artic. For small order it’s worth getting in touch with us as we can usually get a better price from our haulage supplier. So if you need a single pallet racking frame in Stoke, a few Dexion racking beams in York or a single bay of longspan shelving in Kent we will do our best to give you a great delivered price. Call us now or send an enquiry form and we will reply to you quickly. We can supply the frames for all of these beams, in standard depths of 900mm or 1100mm and we may be able to do other sizes on request. 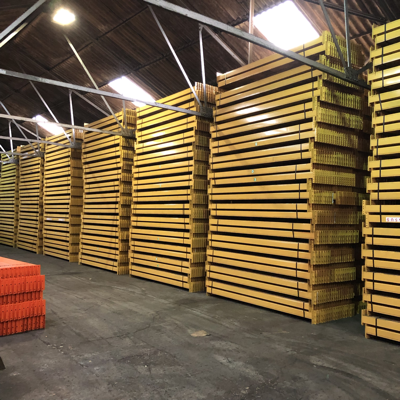 We have timber and wire mesh decking in stock for our warehouse racking, as well as column guards, pallet support bars and rack end barriers. 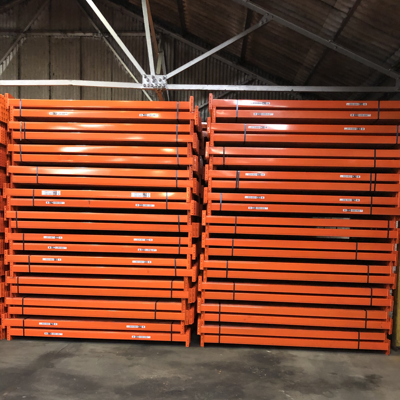 Delivery of our used industrial racking can be arranged to any UK mainland address, so whether you are in Truro or Teeside, Glasgow or Guildford get in touch now for a great price. You can call us on 0800 612 3210 or send us an enquiry form and we will reply to you quickly. What size pallet racking beams should I use? 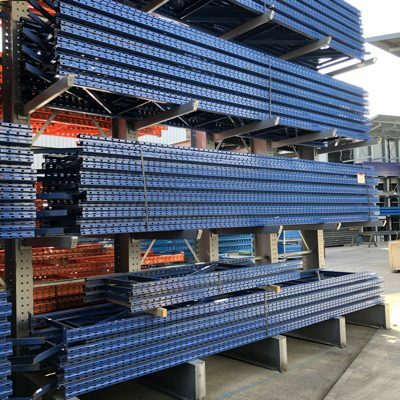 There are a huge range of used pallet racking beams available and finding the appropriate materials for your specific requirements isn’t always straightforward. Our team are always happy to offer you as much help and advice as you need, but here is some guidance which might help you find what you need. Firstly, there are at least 20 different manufacturers of warehouse racking and almost none of their components are compatible with each other. So, if you don’t know whether you have Dexion, Link 51, Apex, Redirack or any other make, the first place to look would be our “identify my racking” page, where you can find photos of many leading brands of industrial racking. If this doesn’t help, send us some clear close up photos of your racking and we can usually tell you what you have. The measurement we use to describe pallet racking beams is the clear entry- the space between the upright frames when beams are in place. 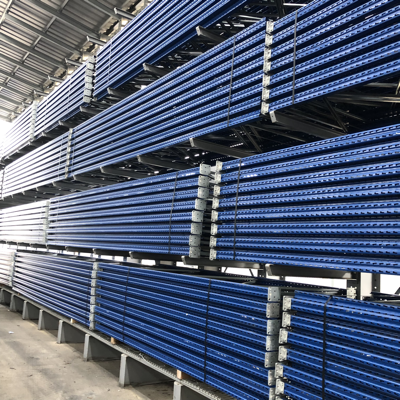 2700mm is the most common pallet racking beam size, as this can be used to store UK pallets (2 pallets per level with 900mm deep frames) and euro pallets (3 pallets per level with 1100mm deep frames). There are many other standard sizes which are close to 2700mm and which may work for your warehouse storage, depending on the pallets you are using. 2625mm, 2650mm, 2667mm, 2670mm, 2743mm, 2750mm and 2800mm are all regularly seen on the used market. 2250mm racking beams are generally used to store 2 UK pallets on 1100mm deep frames and 2225mm, 2286mm, 2300mm beams are also often available. We also usually have single pallet beams (1350mm, 1372mm or 1425mm) and longer beams which can be anything from 2900mm to 4000mm in length. The load capacity of pallet racking beams can vary from a few hundred kilos to 3 tonnes (and sometimes beyond). We will always supply used beams whose capacity is at least the maximum requested load capacity. Call us now on 0800 612 3210 to discuss your options or send us an enquiry form and we will get back to you quickly. Who buys used pallet racking? The simple answer to “who buys used pallet racking?” is “we do!”, so if you have a medium to large quantity of used warehouse racking in good condition then we are waiting for your call. We are always interested in good quality industrial racking from leading manufacturers such as Dexion, Link 51, Apex, Redirack, PSS or Mecalux but we will consider all offers if the quantity and condition is right. The first thing we will always ask is how many upright frames and horizontal beams do you have and what sizes are they. 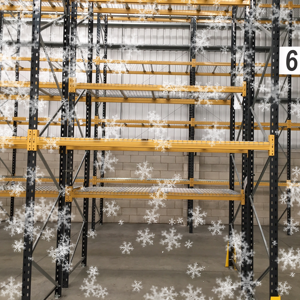 If you can also send us some clear close up photos of the racking, so that we can see the condition and, if necessary, identify the manufacturer we should then be able to give you an indication of the value of your used racking. Finally, we would want to know if you need us to dismantle the racking and arrange transport or will you deliver it to us. 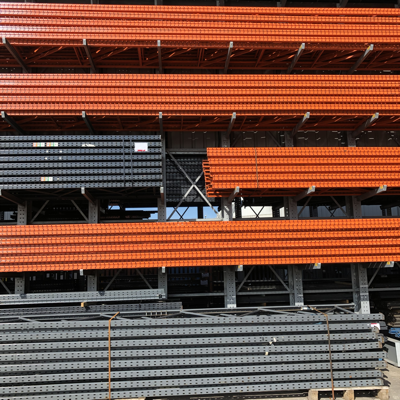 We can also include timber decking, pallet support bars, column guards and anti-collapse mesh in any purchases, so if you have these please include them in the list of quantities and sizes. We have recently bought used racking from warehouse clearances in Hull, Kent, Nottingham and Blackpool, so wherever you are in the UK we want to hear from you. Please call us now on 0800 612 3210 if you have used pallet racking for sale, or send us as many details as you can on the enquiry form and we will reply to you quickly. How much used pallet racking do I need? If you’ve never bought used pallet racking before, or you have a new storage area and don’t know how to calculate how much pallet storage you can fit in it, we can help you find the right solution for your business needs. You might already have warehouse racking that you would like to make use of, let us know what make it is (Dexion, Apex, Link 51, Redirack etc) and we will do our best to supply compatible racking. If you don’t know the manufacturer of your pallet racking, send us a photo and we will let you know. We can deliver and install at any UK mainland address. We have recently completed industrial racking jobs in Glasgow, Leeds, Peterborough and Swansea, so wherever you are in the UK we can help you. Call us now on 0800 612 3210 or send us as many details as you have on our enquiry form and we will reply to you quickly.